Lee Mathews considers fabrics carefully when designing every piece - she says it's always the starting point for her collections. 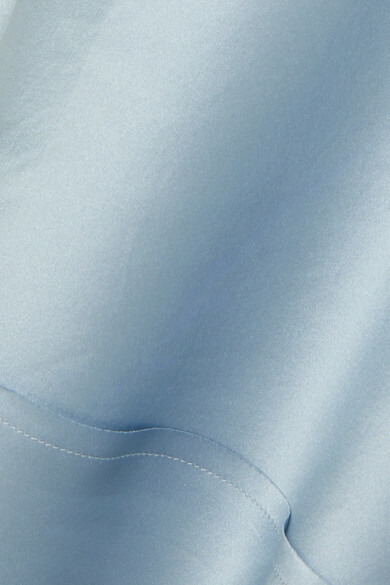 This 'Stella' skirt is cut from lustrous light-blue satin to skim your frame beautifully. It slips on with an elasticated waistband and has a raw hem. Wear it in the evening with a coordinating camisole and barely-there sandals. Shown here with: Khaite Top, STAUD Bucket bag, REJINA PYO Sandals, Dinosaur Designs Ring, Tohum Bracelet, Chloé Earrings, Maria Black Bracelet.